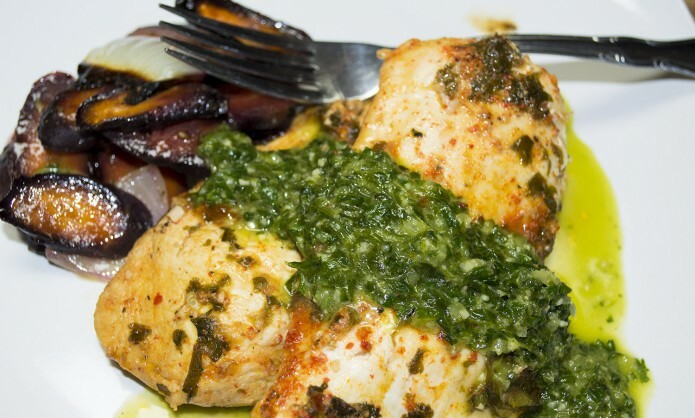 Chimichurri sauce is a wonderful green garlicky and zesty sauce originating from Argentina. The origins of the name and the sauce is unclear but there is a theory that the name of the sauce comes from the Basque term tximitxurri, loosely translated as “a mixture of several things in no particular order”. The sauce is best served with grilled meat. In light of the recent wet Washington weather, I was forced to whip this dish up indoors. It’s still quite delicious either way but if you have the option to grill, go for it. The sauce works as a marinade, topping and dipping sauce! Enjoy! Place all sauce ingredients into a food processor or blender. Pulse until chopped. Set aside. Using a sharp chef's or filet knife, slice each chicken breast horizontally into two even pieces. Place your chicken in a large sealable dish (for marinating). Evenly coat the chicken in salt and paprika. 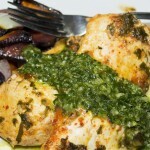 Add the lemon juice and vinegar (this will help tenderize the meat) and cover in 1/2 cup of your chimichurri sauce. Place in the refrigerator and allow to marinate for at least 3 hours. Remove chicken from dish and discard remaining marinade. Allow the chicken to reach room temperature before cooking. Heat a large stainless steel skillet over medium-high heat. Add 1 tablespoon oil; coat pan evenly. Add chicken to pan; Cook for 5-6 minutes. Turn chicken over; reduce heat to medium and cook for another 5-6 minutes or until done. The chicken should be golden brown and the juices should run clear. Remove from pan and top with chimichurri sauce. Enjoy! Depending on the cut of meat you’re using, you may want to add some addition fat. I tend to use a round roast or brisket. Some recipes call for the addition of a little bacon (if you’d like). For leaner cuts of meat, I will add a tablespoon or two of reserved bacon fat which I’ve included below versus adding chunks of bacon. I also use cheap Burgundy wine for the cooking portion. Save the expensive stuff for the drinking portion. 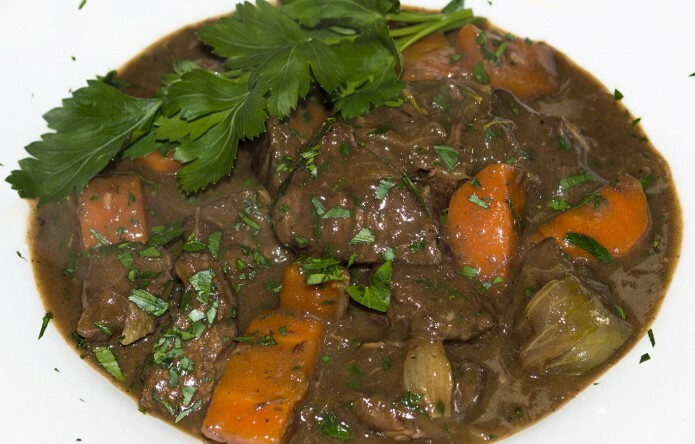 Season your stew meat with 1 tbsp of salt and and 1 tsp of fresh ground pepper. Once seasoned, take a few paper towels and DRY the meat really well on all sides. This will help with the searing of the meat. In a large stock pot or dutch oven, heat to medium-high and add 1 tablespoon of bacon fat. Once the oil is hot, add your meat a little at a time in batches without overcrowding the pot. Sear on each side for about 4-5 minutes. Add your finished meat to a separate bowl and set aside as you sear each batch. Now add the shallots to the pot and 1/4 cup of olive oil. Lower the heat to medium high until the shallots are golden brown (about 10 minutes). Sprinkle flour over them. Continue to cook for about 4 to 5 minutes, stirring occasionally, then add you Burgundy wine. With a wooden spoon, scrape up all of the goodies stuck to the bottom of the pan. Bring your wine to a boil. Return your meat back to the pot. Add the garlic, bouquet garni and beef stock. You want the liquid to cover the meat by 1/3 so if it's not quite covering everything, go ahead a add a little more stock to the pot. Bring to a boil then reduce to a gentle simmer. Cook covered for 1 hour. Be sure to give it a good stir every 15 minutes so you don't scorch the sauce. After cooking for 1 hour, add your carrots and pearl onions. (I like to add them at this stage so the carrots and onion are not mushy. If you like your carrots soft, add them at the previous step) Continue to cook covered for anther 45 minutes. Your meat should be getting close to being fork tender at this stage. Next, remove your lid and check the consistency of your stew. Continue to cook for another 30 minutes uncovered - allowing the stew to thicken up. You want it to be a similar consistency to gravy and not too runny. 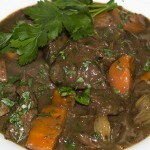 Once your stew has thickened, remove the bouquet garni and discard. Add 1/4 cup of fresh chopped parsley. If needed, add salt to taste. Serve along side roasted potatoes, mashed potatoes or some mashed cauliflower. This traditional Thai street food is easy to whip up in a pinch (otherwise known as Thai Basil Chicken). I used ground beef in the recipe below but you can use ground chicken, pork or even tofu. 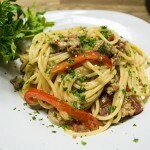 Traditionally you’ll find this recipe cooked with ground or minced chicken. 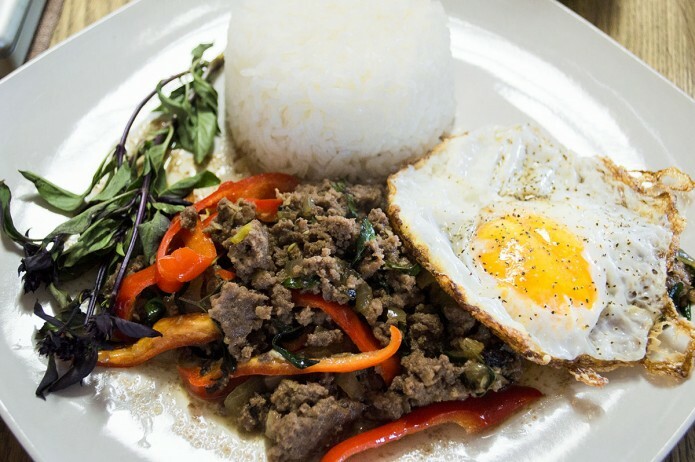 The main ingredient in this dish is Thai Holy Basil, considering this ingredient may be quite difficult to acquire for many (unless you have a asian grocery store nearby) you can substitute with regular Thai Basil, Lemon Basil or if you cant find those, Italian Basil will work. The flavours aren’t quite as bold but it is still delicious! Cook your rice per packaged instructions. Set aside. 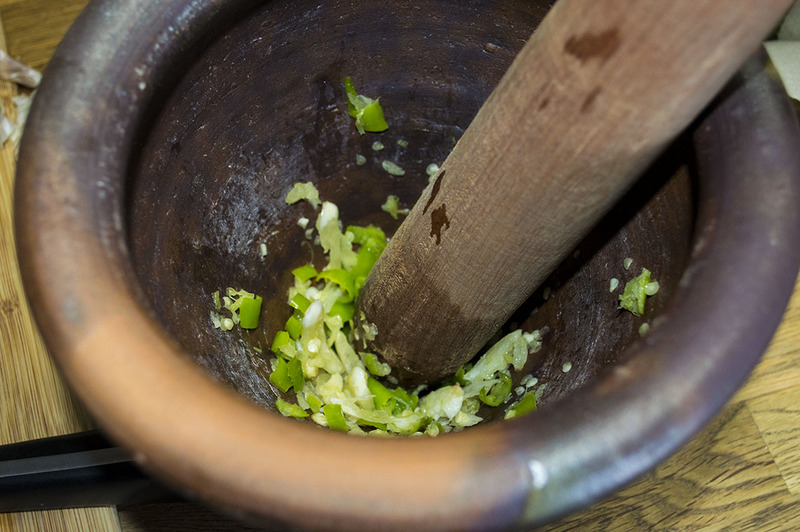 If you happen to have a mortar and pestle, add your garlic and thai chilis and pound them. This will bring out a lot of the aromatic oils which in turn, makes it extra yummy. If not, press and chop your garlic and finely mince your chilies. (use more if you would like a spicier dish) Set aside. Finely mince one small red bell pepper and julienne the other. Set aside.Pluck several leave off of your basil and keep whole. You should have about 1/3 cup packed. In a large skillet or wok on medium heat, add your coconut oil. Once hot, add your garlic and chilies and minced bell pepper and cook until fragrant. Do not allow them to burn. This should only take about 10-15 seconds. Then, add your meat and begin to brown. Add your oyster sauce, fish sauce, soy sauce, sugar and julienned bell pepper. Stir well and continue to cook for about 4-5 minutes until your meat is cooked thoroughly. Once the eggs are done - lets get back to the pan with the meat. Add your basil and stir well, it should only take about 30 seconds for the basil to cook. 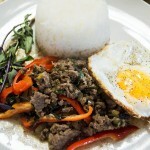 Remove from heat and serve over rice with the egg on the side. Enjoy! Hello summer! 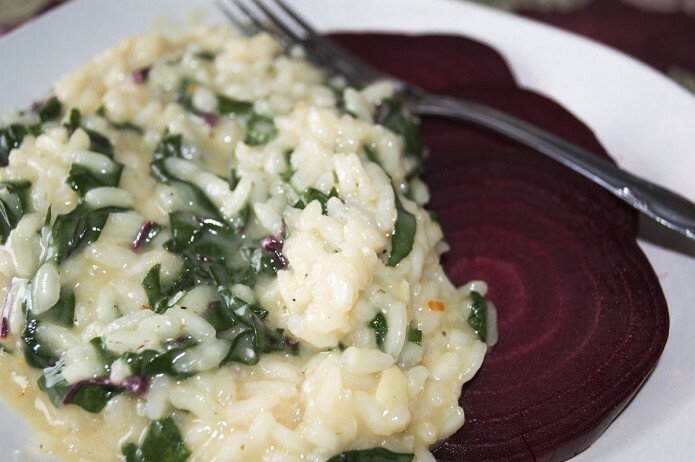 Here is a wonderful, flavorful, quick and easy recipe with a whopping nine ingredients. 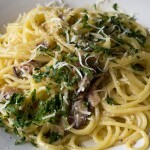 It’s strikingly similar to a traditional Aglio e Olio but with a little extra flair. Served with fresh tomatoes and topped with a little balsamic reduction, it rounds out the fresh peppery arugula that we included in your first summer CSA box. Cook on! 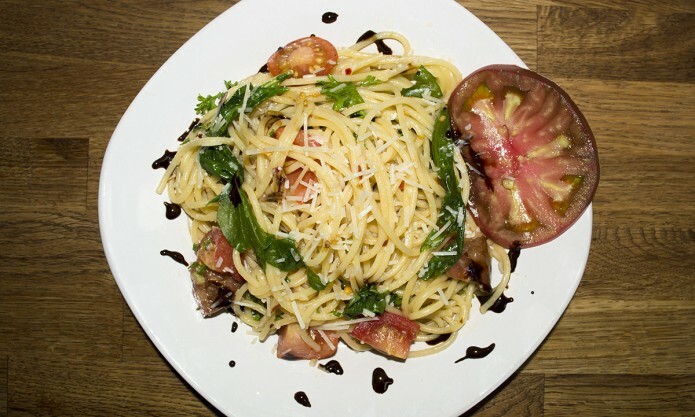 CLICK HERE for a balsamic reduction recipe! Bring a large pot of lightly salted water to a boil. 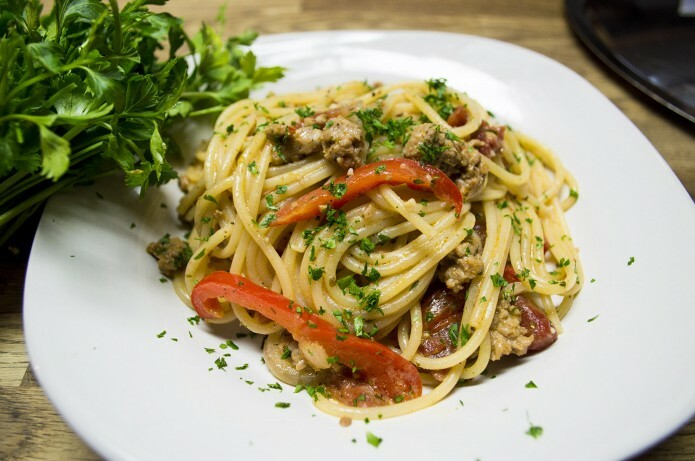 Cook spaghetti in the boiling water, stirring occasionally until cooked through but firm (al dente). This should take about 8-12 minutes depending on your pasta, just check the package for cooking time. Drain and transfer to a pasta bowl. In a large skillet on medium heat, add your olive oil and thinly sliced garlic cloves. Cook for about 10 minutes - keep a watchful eye as you do not want your garlic to brown. Once your garlic has become fragrant and has a slight golden toast to the edges. Reduce heat to low and add your red pepper flakes. You can always add more or less depending on the level of spice you like. 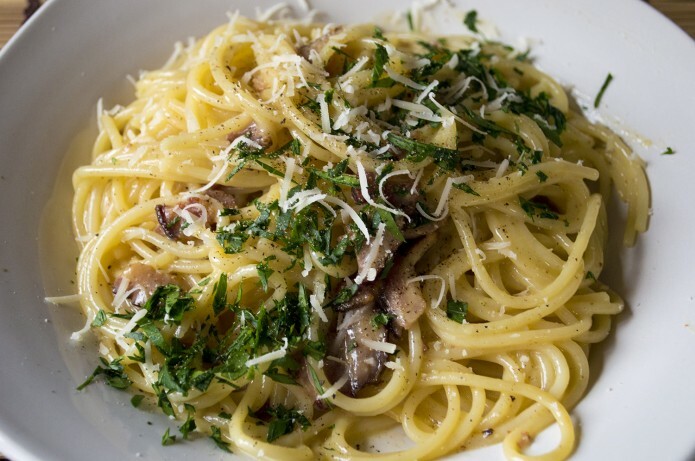 Add your noodles to your pan with the olive oil. 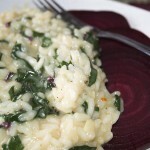 Add your parsley, arugula and tomatoes. 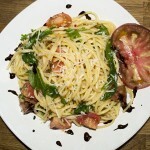 Cook until your arugula is slightly wilted then stir in your Parmesan cheese. This should only take about 2 minutes. Remove from heat. Drizzle a teaspoon or two of balsamic reduction on each plate, then serve! Buon Appetito! Cranberry beans are a bit sweeter and much more delicate your common kidney beans or pintos traditionally used in chile. They have a wonderful creamy texture and have a mild, nutty flavor that I thought would pair quire well with a verde sauce. I have to be honest, this box ingredient was a bit challenging for me. Why you ask? I’m not a member of the bean appreciation club. Really…. I’ve tried to like them but I have an issue with certain food textures (Don’t ask me how I can possibly cook at all) So with this recipe I HAD to try the beans and honestly, I was quite surprised. They are quite creamier than anticipated. This recipe relied much on my keen sense of smell and my helpful husband with a discerning taste when it comes to beans. This recipe included a few items that were out of season. Luckily, I had some canned items from last year’s harvest that I was able to incorporate into the dish as well as some green tomatoes that I had an overabundance of. You can do the same or hold off on cooking the sauce until the tomatillos and tomatoes are readily available. It involves A LOT of roasting and a lot of time and patience but is well worth the wait. Preheat oven to 500 degrees on broil. Peel your onions and cut in half removing the top and bottom. 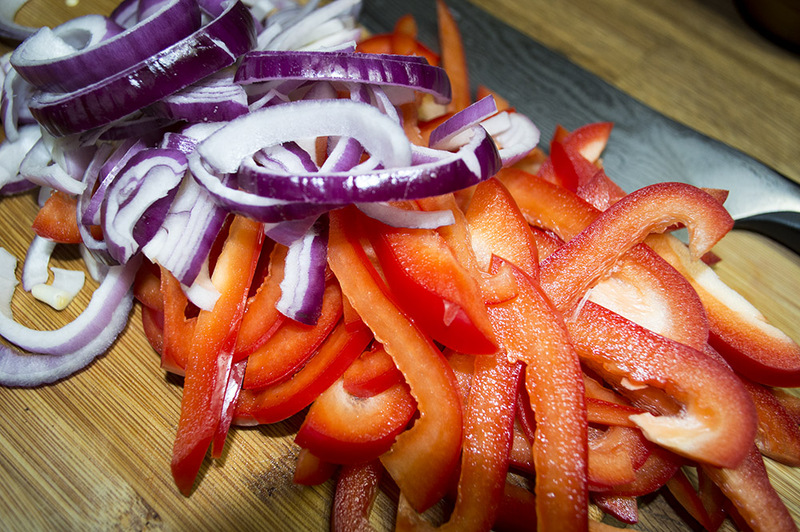 Slice your peppers in half and remove seeds. Husk your tomatillos and cut off the stems. Slice the tops off of your tomatoes. In a large baking dish - fill with your tomatillos, tomatoes. On a separate baking sheet, add your onions and add your peppers skin side up. Place in oven on broil for 30-60 minutes until blackened. Your peppers and onions should be done first, around 30 minutes and your tomatoes and tomatillos should be done after an hour depending on their size and your oven. I've never had the same cooking time when it comes to roasting so it's best to check them ever 20 minutes or so until you see the skin turn crisp and black. When done, remove from the oven and allow to cool. Reserve the red Jalapenos for your topping. Keep the skin on everything (but the onions of course) and in a large food processor or blender, add your roasted tomatillos, tomatoes, onions, pasillas, green jalepenos, garlic, cilantro and juice of two limes. Pour any liquid from the pan into the blender as well. Blend until smooth and add salt to taste. 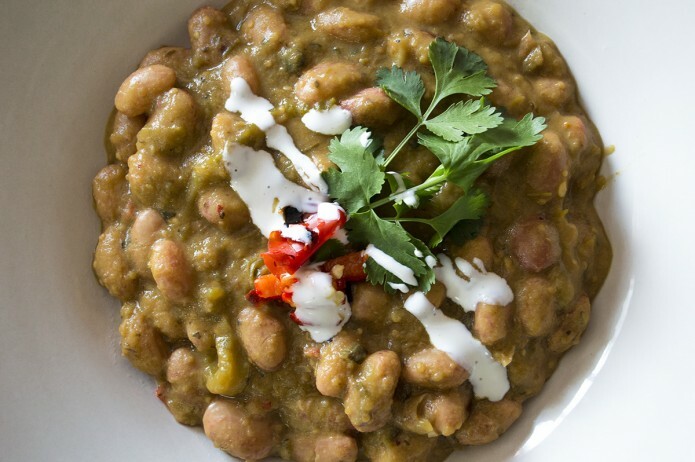 You should have AT LEAST four cups of salsa verde for your beans. 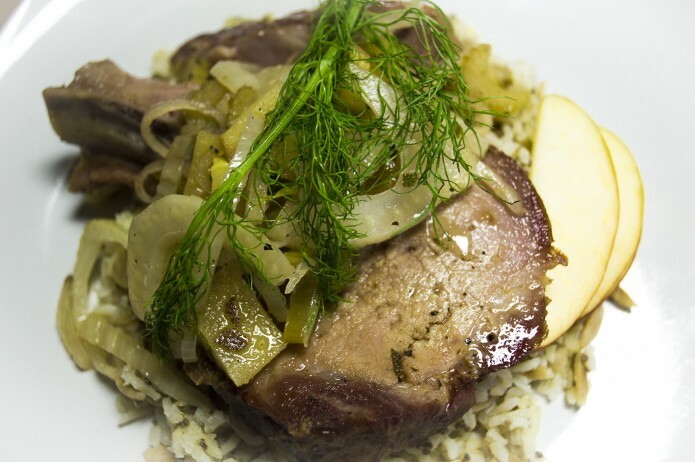 This recipe always has a bit of a variance due to the size and the harvest. Any extra should be reserved for salsa or storage. Rinse your beans and remove any unwanted bits. In a large bowl, cover with water and allow to soak for at least 4 hours. Peel and julienne your nopoles. 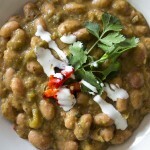 In a dutch oven or thick bottomed pot, add your beans and four cups of the salsa verde sauce. Add cumin, Mexican oregano, vegetable bouillon and nopoles. Cover and heat on low for approximately 6 hours. At the 3 hour mark, check your beans every half hour or so. Does your sauce look too thick? Add a little water to the mix. Depending on how watery your tomatillos and tomatoes where, you may have to add a little water so your sauce isn't overly thick. (Again, this is one of those recipes that requires a little extra attention) At the 5 hour mark, check your beans for doneness. They generally take around 6 hours but I have had them finish cooking out before that. Taste testing is key here! Once your beans are done, add your Mexican crema to the pot and stir. If you want to keep this recipe vegan, just omit the crema. Serve and top with fresh cilantro, roasted red peppers and a little more crema. Enjoy! Every time I open a box of goodies from the farm I feel like I’m on an episode of Chopped. In lieu of of a 30 minute timeline, I usually wind up with some hair-brained idea in the middle of the night. Insomnia I suppose, has it’s benefits. This week’s CSA shipment had some pretty fun ingredients and the following recipe is the result of my late nights tending to a newborn baby. I do what I can and make the best of the time that I have in the wee hours of the morning. 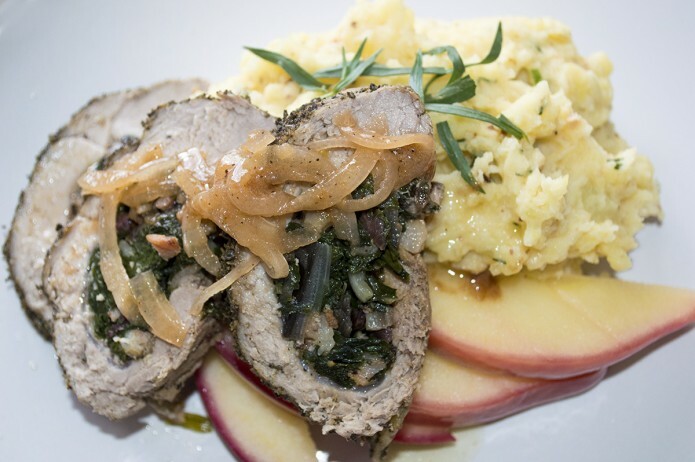 Apples and pork go pretty hand-in-hand right along with the sage. Inside? 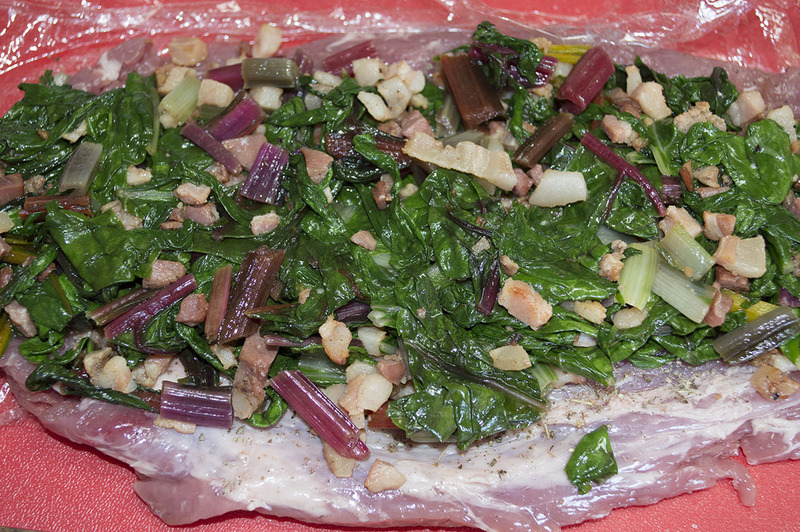 More pork and that wonderfully colored Swiss Chard create the roulade. In layman’s terms, you pound the heck out of the meat and roll it up. It’s like one of those Little Debbie Swiss Rolls from childhood but in the form of meat. 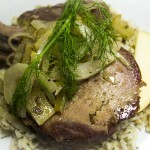 It looks fancy but is quite easy to make and is a sure fire way to impress discerning guests. I decided to pair the tenderloin with some tarragon and roasted cauliflower mashed potatoes ( click here for the recipe ) and it worked out quite well if I say so myself. Enjoy! 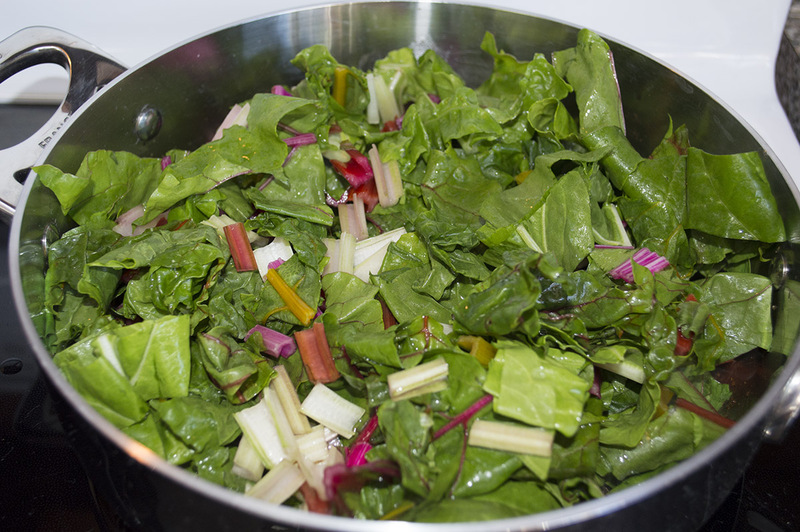 Chop the Swiss chard into 1" pieces, rinse and drain. 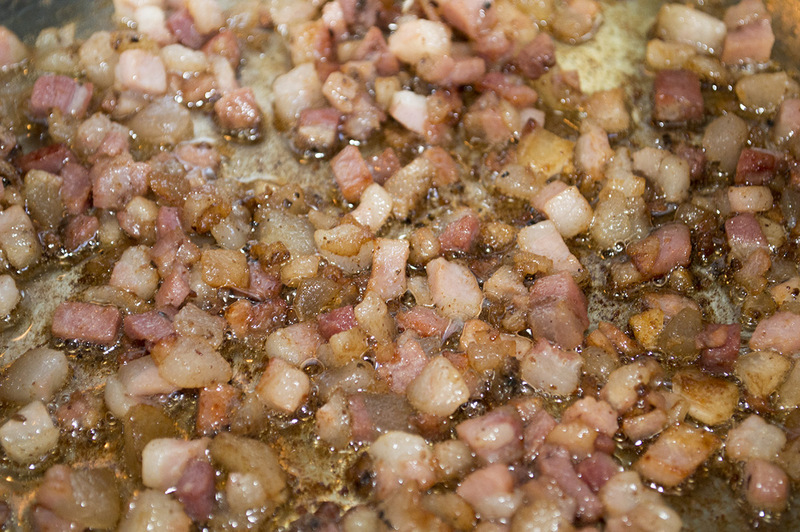 In a medium saute pan, add 4oz of pancetta to medium/low heat. Render the fat but keep the heat low enough to avoid burning. This should take less than 10 minutes. 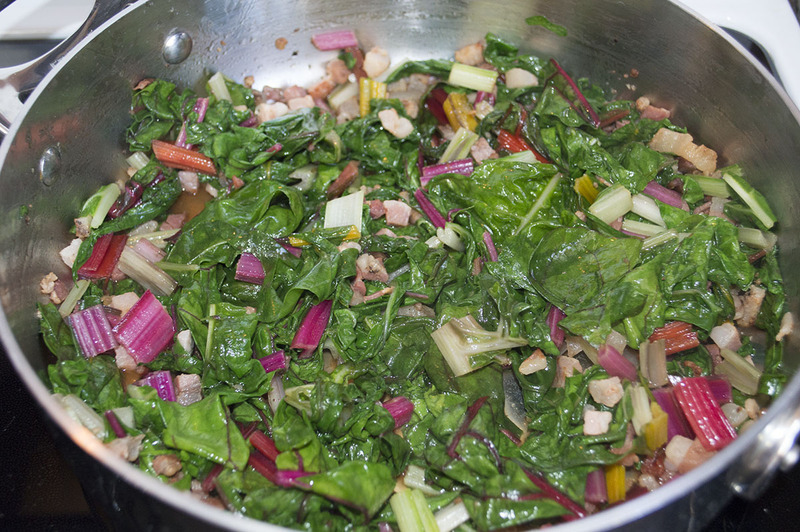 Add the Swiss chard to the pan, stirring and coating evenly with the rendered fat. Continue to stir and cook on low heat until you've wilted it down. This should take around 3-5 minutes. Remove from heat and set aside. Slice pork lengthwise, but not all the way through, other side. Open halves, laying pork flat. 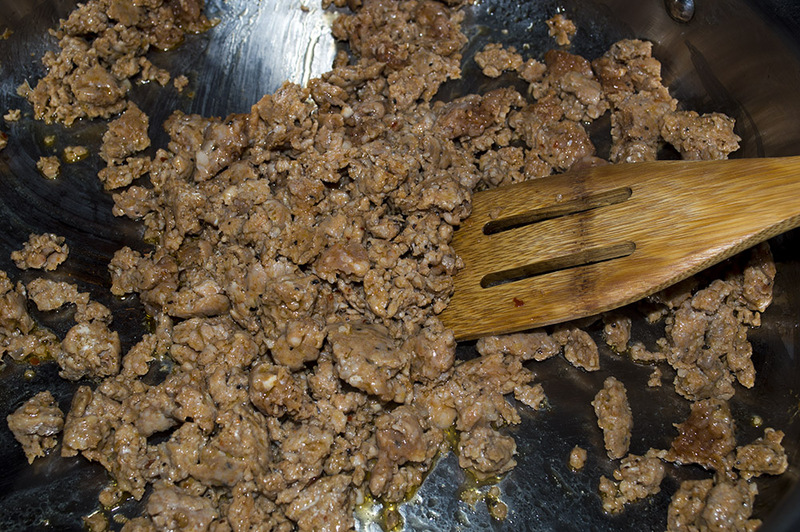 Place plastic wrap over pork and pound to an even thickness using a meat mallet. Sprinkle evenly on both sides with salt. 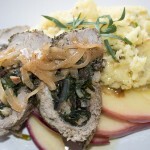 Spread apple mixture on pork and roll it up. 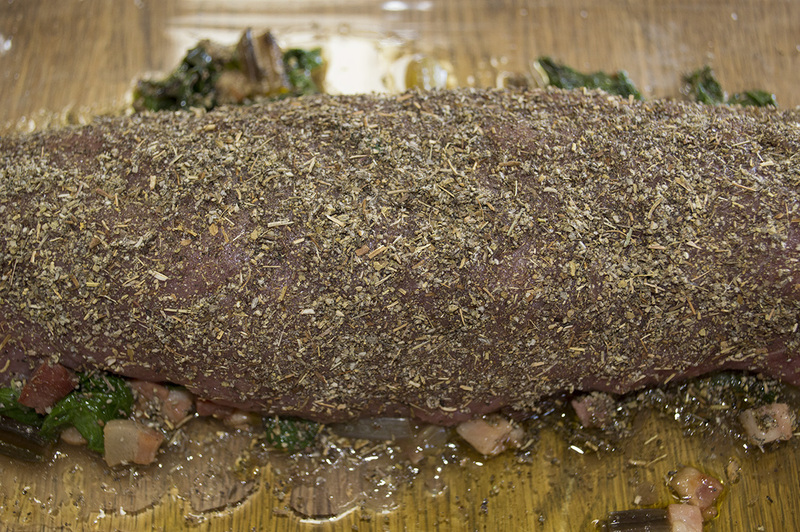 On the outside of the rolled tenderloin, rub generously with the sage and coat on all sides. Add the meat to a lighly oiled pan. Cover with foil and place in the oven for 20 minutes or until a thermometer inserted in the center registers 145°. 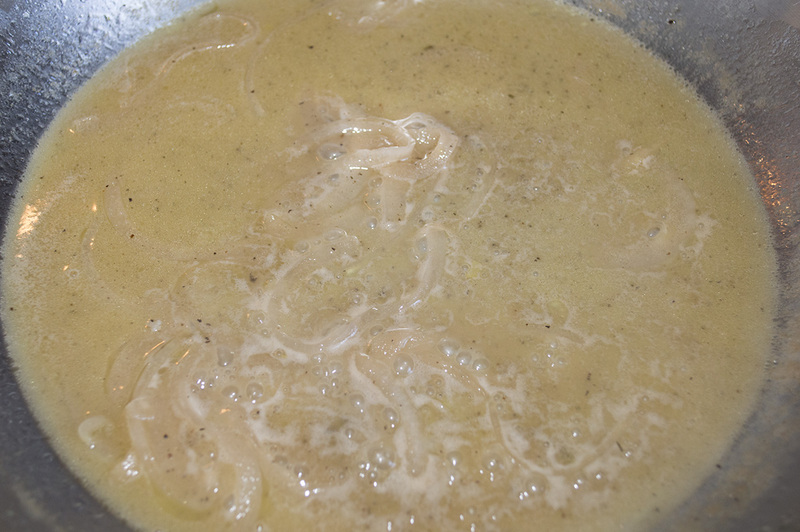 In a small sauce pan, melt butter over medium heat. Peal and thinly slice your shallots (I used onions in the photo since I was all out of shallots - you can do the same if you feel so inclined) Add to the pan and cook until soft. Slice and quarter your apples into 1/4" pieces. Add to the pan with the apple cider vinegar, sherry, salt and pepper. Cook apples until soft but still firm. Remove apples from the pan and set aside. Reserve the liquid and continue to cook the liquid until reduced by more than half. Remove your meat from the oven and allow to REST for at least 5 minutes. Slice into 1/2 pieces and plate over the apple slices. Gently pour your cider and shallot sauce mixture over the meat and enjoy! Pairs well with our Roasted Cauliflower and Tarragon Mashed Potatoes!